Yeah, I know. My last post said it was the FINAL chapter of the Dreyfuss family. How could this one be the first? Way back on November 18, 2014, I wrote, “More on the Dreyfuss family in a later post.” Then I proceeded to write about the Nusbaum family and the Dreyfuss family together. Since two Dreyfuss sisters (Jeanette and Mathilde) had married two Nusbaum brothers (John and Maxwell), it just made sense to follow the stories of the three Dreyfuss sisters (Jeanette, Mathilde and Caroline) along with the stories of the Nusbaum siblings. But what I never got back to doing was what I had promised back on November 18. I never got back to the beginning of the Dreyfuss story as I moved forward from the 1840s in America through to the 20th century. So although my last post was called the “Final Chapter” of the Dreyfuss family, I need to go back and write the first chapter before I can complete the story (as far as I currently know it). So I need to step backwards in time—both in my time and in the times of the Dreyfuss family before 1840. Back in the fall when I was researching the family of John Nusbaum, I had a wonderful resource in the family bible owned by my father. My father had photocopied several pages of handwritten entries for births, deaths, and marriages from the bible , and most of those entries related to the Nusbaum family. From studying the page for marriages, I learned that John Nusbaum, my three-times great-grandfather, had married Jeanette Dreyfus (as it was spelled there). And that was the first time I knew the birth name of my three-times great-grandmother. On the page for births, the second entry after the one for John Nusbaum was one for Jeanette Nusbaum, giving her birth date and her place of birth. It took me a while to figure out what it said because of the handwriting, but eventually I was able to decipher it and learned that Jeanette was born in “Hechingen in Wurttemberg, Prussia,” as it is inscribed in the bible. But there was no other Dreyfus(s) on any of the pages in the bible, and I was at that point in time focused on the Nusbaum line. It wasn’t until weeks later that I realized that the bible’s death entry for Mathilde Pollock was not an entry for a sister of John Nusbaum, but an entry for a sister of Jeanette Dreyfuss (who happened to marry a brother of John Nusbaum) and that the entry for Caroline Wiler was also not a sister of John Nusbaum but another Dreyfuss sister. The big clue was finding 65 year old Mary Dreyfuss on the 1850 census living with Caroline and Moses Wiler: a head-slapping moment when it occurred to me that it was Jeanette who was keeping the family bible and that, of course, she would record her sisters as well as her husband’s siblings in the family bible. And then in mid-November I went on JewishGen’s Family Finder page and found Ralph Baer, who was also researching the Dreyfuss family from Hechingen. I have mentioned Ralph before in the context of the Nusbaum/Dreyfuss family and his generous help with research and translation, but what I had forgotten to write about in my telling of the story of the Nusbaum/Dreyfuss family in the US was what Ralph had helped me learn about my Dreyfuss roots in Hechingen, Germany. First, a little about Hechingen. Today it is in the German state of Baden-Wurttemburg, located about 56 miles north of the Swiss border in southern Germany. It is about 40 miles from Stuttgart, the state capital. Although inhabited long before, the city was founded as the capital city of the Counts of Hohenzollern in 1255. It remained during the Middle Ages a provincial and agricultural community. During the 16th century, it became a center for art, architecture and music. Even after the Reformation, it remained a largely Catholic community. Throughout its pre-19th century history, Hechingen was subjected to many sieges and attacks by other German states as well as by Sweden. Chaile developed an aristocratic lifestyle, owning an elegant house and a horse-drawn carriage, but she continued to live according to Jewish law. 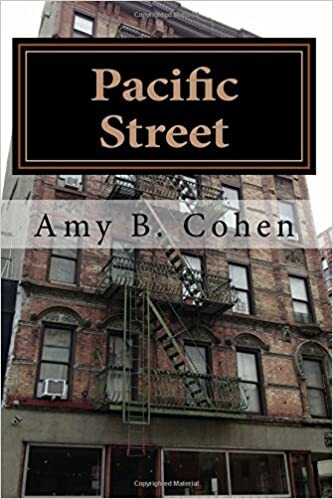 She never forgot the mitzvot and cared for the Jewish community together with her brother, using her connections to the prince. 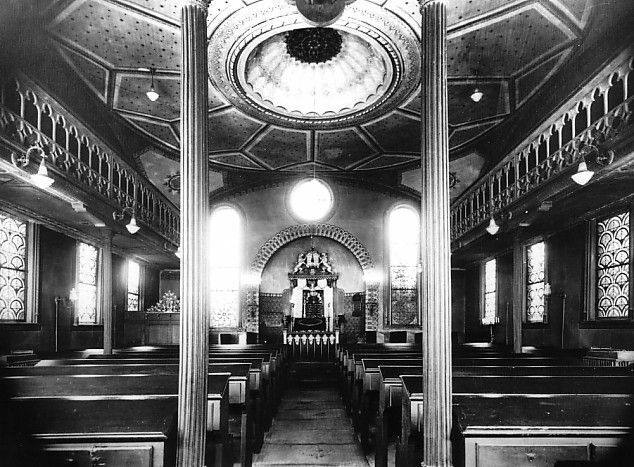 The Kaulla family had their own private synagogue and rabbi. Both sister and brother gave generously to the Jewish as well as to the Christian poor and founded a hostel for needy and migrating Jews in Hechingen. In 1803, they donated a Bet Midrash, a Talmud school, with three rabbinical scholars whom they supported, together with their students and an important library. The 19th century was a time of economic and industrial growth for the town of Hechingen and for its Jewish residents. Wikipedia states that “By 1850, Hechingen had started to industrialize, primarily with Jewish enterprises. By 1871 the city had become one of the most important economic centres in the region, with textiles and machine shops among the major industries.” According to the Jewish Virtual Library, the Jewish community in Hechingen was “prosperous and owned most of the local industries.” The Jewish population reached 809 people in 1842, which was about a quarter of the total population of the town. This was also around the time that my three-times great-grandmother Jeanette and her sisters and mother would have left, which might seem strange, given how favorable the conditions there seemed to have been. The Alemannia-Judaica, however, reports that there were some anti-Semitic “disturbances” in the 1840s, and the Dreyfuss sisters were not the only ones to leave. By 1880, the Jewish population had dropped to 340; by the 1930s it had dropped to only 101. Like so many other Europeans, Jews and non-Jews, the lure of opportunities elsewhere must have been irresistible. The Dreyfuss sisters were wise to leave Hechingen because it was no more immune to the destruction and genocide of the Nazis than any other place during the Holocaust. 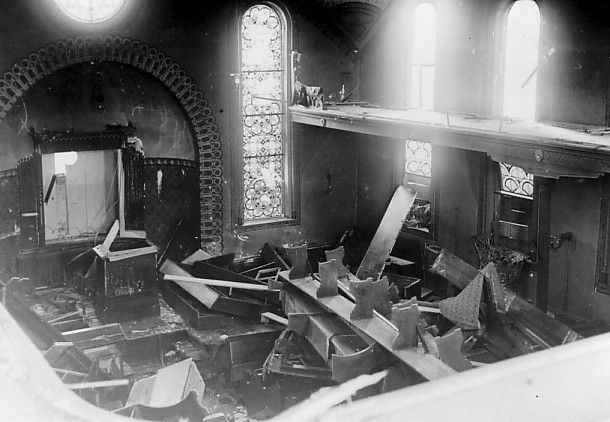 The synagogue was heavily damaged on Kristallnacht in November, 1938, and most of the Jewish men were sent to Dachau. In the aftermath, 53 Jews emigrated successfully; the remaining 32 Jewish residents of Hechingen were sent to concentration camps where all but one were murdered by the Nazis. 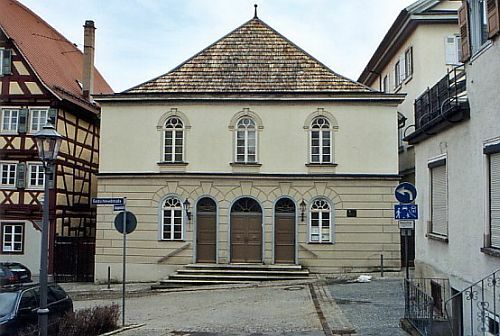 According to another source, “In 1991, the synagogue building was rebuilt as a cultural center, housing an exhibition on Hechingen’s Jewish history. 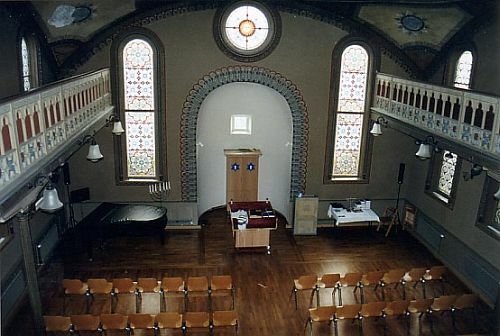 A new Jewish community was founded in Hechingen in 2003.” More pictures can be found here. There were my 3x-great-grandparents right at line 31, and there at line 33 was Caroline (born Golde) “Weiler” and at line 34 Mathilde “Pollak.” I knew immediately that Ralph had found the three Dreyfuss sisters listed in my family bible. Not only did the names line up, but so did the birth dates. Thus, I now also knew that Jeanette, Caroline, and Mathilde were the daughters of Samuel Dreyfuss Zeller (later documents, as I found, indicated he had changed his surname to Zeller) and Miriam (Marianna) Samson Bernheim, that is, the Mary Dreyfuss I had found on the 1850 census living with her daughter Caroline in Pennsylvania. (The death date of 1841 given for Miriam Ralph and I later discovered was not correct. I have not, however, found a death record for Miriam, though with two grandchildren named Miriam, one (Miriam Nusbaum, daughter of John Nusbaum and Jeanette Dreyfuss) in 1858, and one in 1859 (Miriam Pollock, daughter of Mathilde Dreyfuss and Moses Pollock, it would appear that Miriam died before 1858.) In addition, I now had evidence of three other siblings: Moses, Samson, and Auguste. But, of course, I wanted to see the actual records where Ralph had long ago found my relatives while researching his own. With his patient assistance, I was able to locate a number of records relating to my Dreyfuss ancestors. Fortunately, many of the Jewish vital records from the Baden-Wurttemburg region are digitized and available on line, and Ralph walked me step by step through the process of researching those archives and then helped me translate what I had found. Once again, I struggled with the German script, but with Ralph’s help, I was able to find a number of relevant records. I am now including the links to them here with a transcription of what is on each record so that I have a record later when I once again have trouble reading the script. If you are interested in seeing the underlying documents, just click on the links. The JPG versions were too blurry to read, so I am only posting links to the PDF versions, with two exceptions that were more legible. #192 Samuel Dreyfuss 56 and Marianna 44. Six children: Jeanette 14, Magdalena 6, Golde 10, Moses 12, Samson 4, and Auguste 2. There are some missing records. I do not have a separate birth record for Jeanette. Nor can I find a death record for her mother, my 4x-great-grandmother Miriam Bernheim. I cannot find any records for the two youngest of the siblings, Samson and Auguste. I also do not understand why there are two children with the name Auguste. Perhaps one was a child of a family member who died? There is also a huge gap between the recorded marriage date for Samuel Dreyfuss and Miriam Bernheim of 1806 and the birth date of their oldest child, Jeanette, in 1817. Did Samuel and Miriam have other children who died, or is their marriage date incorrect? Samuel would have been 41 in 1817, Miriam would have been 30. Both Samuel and Miriam had fathers named Samson. Were both alive in 1819 when Moses was born? If not, it seems odd that their first son would not have been named Samson, unless there had been an earlier born son named Samson who had died. I don’t know the answers to these questions, but I have answers to so many more questions than I ever expected, thanks to Ralph. I know the names of my 4x-great-grandparents, Samuel Dreyfuss Zeller and Miriam Bernheim, and the names of my 5x-great-grandparents, Samson and Jeanette Dreyfuss and Samson and Golde Bernheim. I have the names of the three other siblings of my 3-x great-grandmother Jeanette: Moses, Samson, and Auguste. And I am not yet done looking for more about my Dreyfuss ancestors and now, my Bernheim ancestors as well. Once again, I am deeply grateful to Ralph Baer. Without him, none of this would have been possible. Together Ralph and I filled in many of the blanks here, enabling both of us to have a more complete record. This entry was posted in Bernheim, Dreyfuss, Germany, Hechingen, Miscellaneous information and updates, Nusbaum and tagged bernheim, Dreyfuss, genealogy, Hechingen, Jews, Middle Ages, The Holocaust by Amy. Bookmark the permalink. Thank goodness for genealogy angels like Ralph. Where would we be without them? Yes, I always say it takes a village! Fabulous info–and such bliss to have help like that!